Oh my goodness… what a soothing and beautiful fragrance this was. The moment I smelled the wax, I literally closed my eyes and inhaled deeply. It was love upon first sniff. The Wild Lemongrass fragrance is an uplifting fresh scent, reminiscent of a sun-filled landscape. This candle is perfect for everyday use to light up your home or office. Top notes: Verbena, Lavender, Garden Mint. Essential Oil: Eucalyptus, Lemongrass, Peppermint, Spearmint. Okay, this candle has essential oils in it… that’s probably why I found this fragrance so soothing. 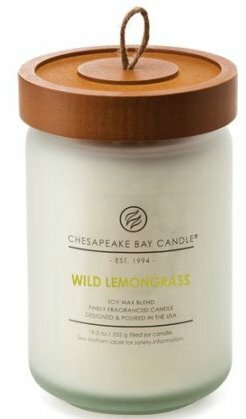 I love lemongrass, but this candle was very different than the lemongrass fragrances I’m used to. It smelled aromatherapy and I think the essential oils played a huge role in that. Reading the description and smelling the candle, I detected lemongrass, eucalyptus and herbs the most. SO beautiful!!!! I decided to stay conservative and light this candle in a smaller room to start out. It was a perfect choice. Once the wick was lit, it took a good 6 hours to reach a full melt pool, but the aroma was present long before that and aaaaah!! I loved everything about this scent. 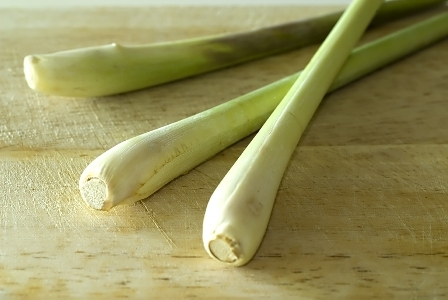 Lemongrass! That’s all I could smell. The weird part, I didn’t smell any mint whatsoever. No peppermint, no spearmint or eucalyptus as stated in the scent description. To my nose, this fragrance was lemongrass first with hints of verbena and maybe thyme and coriander. That be it – and it was perfect!! Strength – this candle was perfect in a small room. I would rate it a 10/10 in a small room. 6/7 in a medium and not sure I would even try in a large. If you do, go with two candles burning at once. This candle struggled big time to reach a full melt pool with each lighting. This caused some tunneling but with the help of my trusty wick dipper, I was able to push the wax that wouldn’t melt back into the melt pool so no wax was wasted in the end. That takes a bit of time but worth it if you love the fragrance and this one I did. ? Chesapeake Bay has a website but it’s currently being revamped so it’s closed. This brand however is carried in all Target stores so maybe look for it there if you’re interested.